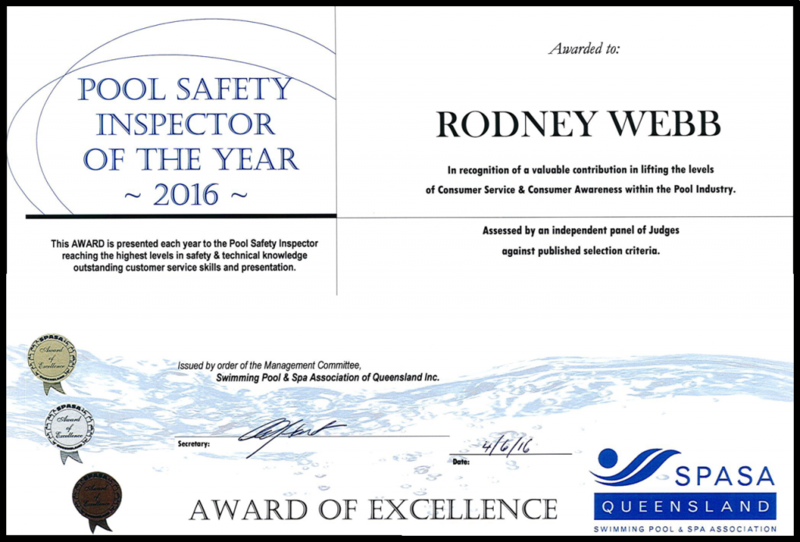 This award is presented each year to the Pool Safety Inspector reaching the highest levels in safety and technical knowledge, outstanding customer service and presentation. In recognition a valuable contribution in lifting the levels of Consumer Service & Consumer Awareness within the Pool Industry. Assessed by an independent panel of Judges against published selection criteria.